< Introducing The Heart Desires Store & Design Team! Gorgeous! Lots of fun patterns in bold bright colors – a wonderful eclectic mix of papers and patterns! So clever to make your very own egg die and sad to see Basic Grey go too! ALL those wonderful layers, patterns and colours, such a treat to the eye! Ps thanks for the great tip on how to create an egg with the dies… I had a total ‘doh’ now why didn’t I think of that moment lol. Hi Kate, I love to beach comb. You never know what lovely little treasure you will find! Thank you for finding and sharing your way of creating eggs, that has now been stored away for future reference. The little eggs with feathers remind me of the Little Terns that arrive each year to lay their eggs up on the beach. Cheers! Wow! I love your beautiful cards! They are so fresh and lush–filed with color and detail! Very Pretty! Beautiful, beautiful cards! 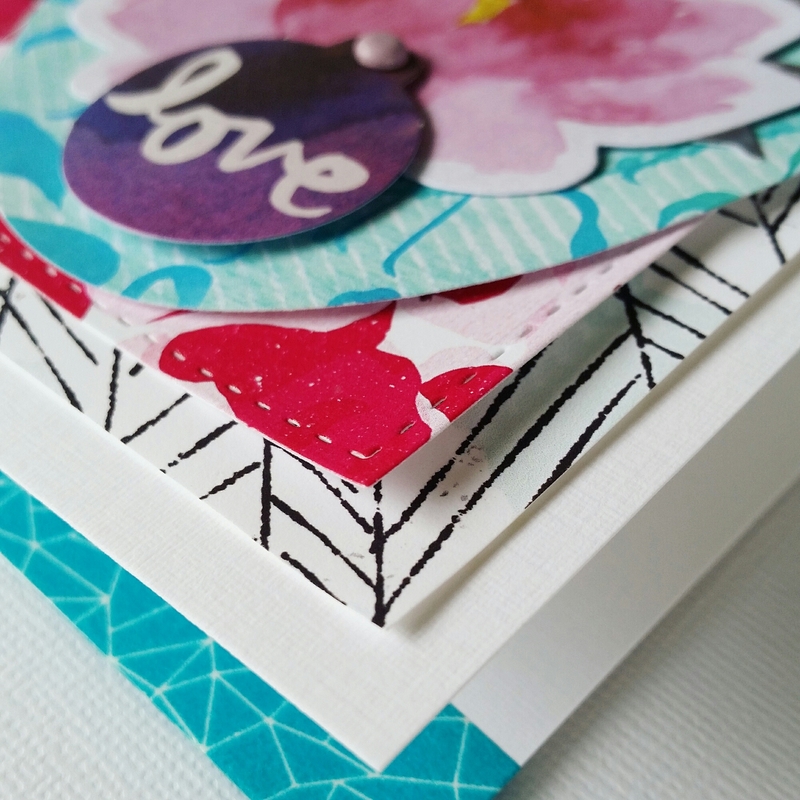 I so admire crafters who can use patterned papers in a seamless way, as you have done here. A gorgeous mix of patterns and colors.